Almost four years ago when The Test Pit got going, one of the first things we ever reviewed was the Kobo Touch e-reader. Since then we've kept a sharp eye on the brand, having reviewed a few other of the company's readers since. 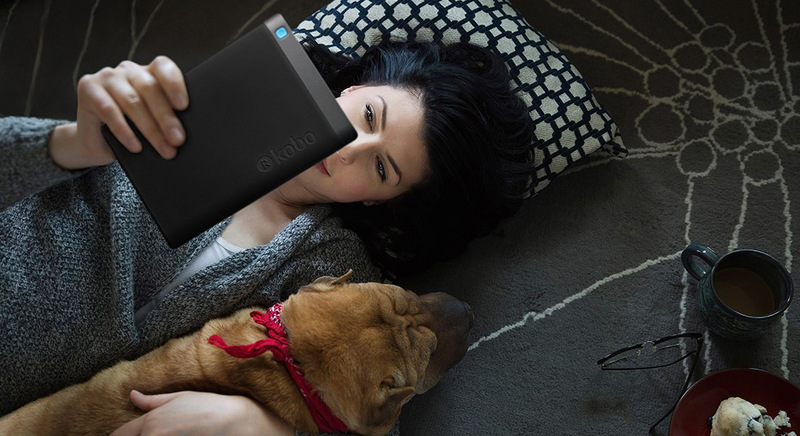 But today we think we've found the ultimate e-reader, and it seems like Kobo have to thank readers of ebooks for it. 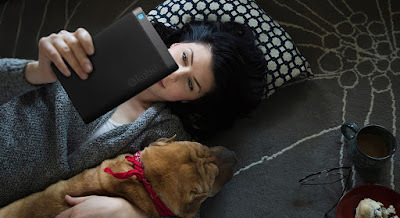 We test the Kobo Aura One. Like the Kobo Aura H2O before it, this e-reader is fully waterproof. So yes, you can now read in the bath, by the pool, in the garden while the sprinkler is on, or at a bus stop in the rain. Take that, books! Also, the device itself has been designed by committee, and although that usually produces a camel as opposed to a horse (so the saying goes... or something) the resulting gadget is awesome. First up, the screen is a huge 7.8 inches across the diagonal – the biggest we've ever tested. It also boasts the highest resolution, with 300dpi across 1872x1404 pixels. This means it looks incredible, and coupled with the clear white background and forward light, reading text is a real pleasure. All that size hasn't weighed it down too much either, as at just 230 grams it is actually lighter than the smaller Aura H2O. Asking a group of Kobo readers want they want in a new device means that several other boxes have been firmly ticked. If you read at night you'll know that traditional e-readers can blast out blue light and make your eyes tired, never mind messing up your sleep patterns. Although e-readers are nowhere near as bad as tablets and smartphones for this, it is still an issue to overcome. 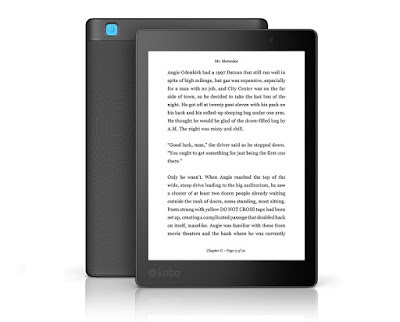 Kobo have therefore loaded the Aura One with ComfortLight Pro, an automatic setting that changes the brightness and light of the screen depending on what time of day it is. This means that the brightness will always be low automatically when you reach for the reader at night in bed, although you can further adjust this yourself to get it even more spot on. In the hand, the Kobo Aura One feels nice and tactile and very easy to grip for long periods, despite not being as textured as previous Kobo readers. The sleep/wake button is large and bright blue, sitting conspicuously on the rear. This seems like an odd choice, and it kind of spoils the sleek good looks, but we can only assume the design committee demanded an easy-to-find and operate button, so there you are. Obviously Kobo's biggest competition is Amazon's Kindle, but we truly believe that Kobo has the upper hand. Not only do they have a library of ebooks that rivals Amazon's, there is no dodgy 'do we actually own the books we buy?' issues as with Amazon. Also, there is no bloody advertising on the device, something Amazon are awful for with their Kindles and Fire tablets. For an uncomplicated read, go Kobo, says we. A great new reader, with a brilliant screen and an initiative light sensor, we really do love this thing.